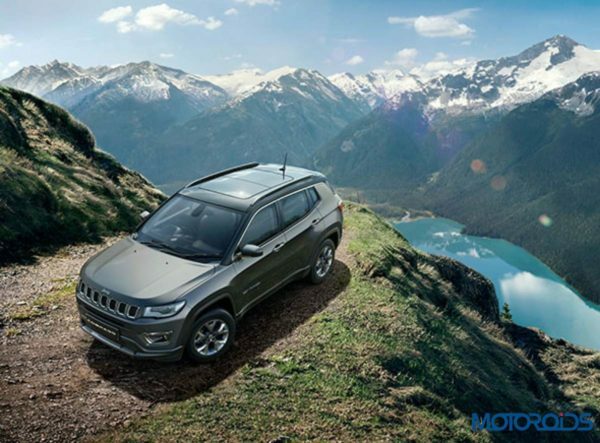 The Jeep Compass has managed to create quite the ripple in its segment by offering quality and style in abundance and was expected to launch the Trailhawk version sometime this year. They seemed to have further postponed the launch for reasons unknown. The only reason that we could come up with is possible to get its engine BSVI ready, nevertheless, Jeep has decided to launch something equally enticing. Jeep has just launched the new Black Pack that can be had for an additional Rs. 15,000/- to Rs. 20,000/- over it’s Limited (O) variant. The Black Pack aesthetically gets black alloy wheels, ORVMs, and interiors, similar to what is found on the Compass Bedrock. Apart from that there no mechanical changes to the Compass and this version is purely aesthetic. However, Jeep has also started accepting bookings for what we believe would be a Limited Plus variant. This edition is expected to bring in the long-awaited addition of a panoramic sunroof and a few more features like an 8.4 inch infotainment system (unlike the 7 inch that is currently on offer), rain-sensing wipers, 18 inch wheels (unlike the 17-inch wheels currently on offer), electrically adjustable seats for both driver and passenger and dual tone exterior colors. These features should help add that extra spit and polish to an already great package. Select few dealers have already unofficially started accepting token amounts of up to 1 lakh and promising deliveries around the first half of October. Mechanically this would still remain the same and use the same petrol and diesel engines on offer, they make 160 bhp & 250 Nm of torque and 171 bhp & 350 Nm of torque respectively. We expect the Limited Plus Edition to be priced at an additional Rs. 2 lakhs over the Limited (O) variant. While the petrol can be had with both a 6-speed manual and an automatic transmission, the diesel can only be had with a manual. Sadly there is no buzz about if and when Jeep will bring in an automatic variant for the diesel Compass. Jeep plans to launch the Limited Plus Edition by the 20th of September and long awaiting buyers can finally rejoice and ready their wallets.